Adkins Opticians is a traditional, independent Opticians practice, which takes pride in offering you excellent eye care in a relaxed and welcoming atmosphere, along with state of the art equipment and products. Our aim is to offer you what is best for your vision, through careful assessment and correction of visual defects, or detection and appropriate management of abnormal eye conditions. Of course, all this is supported by efficient service, knowledgeable advice and a wide choice of frames and lenses to suit every budget and taste. This site contains further information about us, the services we offer, including O.C.T. scanning, Colorimetry and the products which we supply. Ed Adkins graduated in Optometry at Aston University (where he met Rachel) in 1996 and has since developed particular interests in technology, eye disease, contact lenses and spectacle dispensing. Having undertaken numerous courses and further qualifications, Ed is actively involved in local NHS initiatives, including second opinions on referrals and monitoring stable glaucoma suspects on behalf of a local hospital. He also acts as a lead assessor for a leading further qualification provider and as Secretary for Norfolk & Waveney Local Optical Committee. 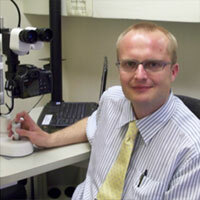 Ed is the first and only practitioner in the area to qualify as an Independent Prescribing Optometrist. This allows him to diagnose and treat certain eye conditions, by prescribing medication and performing various minor procedures when appropriate. After graduating, Rachel trained in Norwich before moving to Diss. 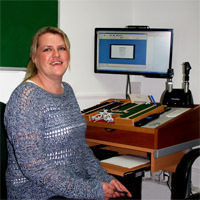 Being the organised one, she manages to look after the dispensing and the administrative duties as well as enjoying testing patients eyes. Ed & Rachel have lived in Diss since 1998 and have 3 children. Lorna joined us in 2018 and has worked in independent practice since qualifying 15 years ago. Lorna is locally born and bred and has a wealth of experience in dispensing fashionable frames with the latest lens technologies along with paediatric dispensing. She is responsible for selecting our range of frames and lenses, ensuring they offer the optimum balance of performance, style and value. 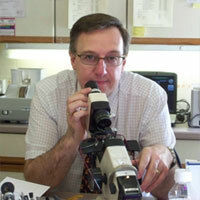 Michael joined the practice in Autumn 2008 and has over 20 years experience as an Optical Technician. As well as being in charge of glazing and production, Michael will often be seen dispensing, adjusting and performing other essential tasks. 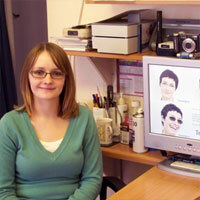 Vicki has been with the practice for over 5 years and qualified as a registered dispensing optician in Summer 2008. 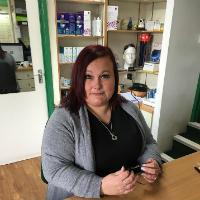 Vicki specialises in giving patients all the options suitable for their prescription and ensuring that frames chosen both look good and fit well. 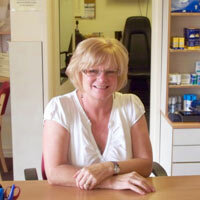 Liz runs the reception and is responsible for welcoming patients into the practice and answering the phone. She is often the 1st member of staff you will meet.